The Irish Red Cross looks forward to welcoming our incoming Judging Panel for 2019. The group will consist of exceptional leaders making positive societal impact across their industries and organisations. Members will be announced in late Spring. Our 2018 Judging Panel Alumni will continue to be part of the Humanitarian Awards in an advisory capacity. Brigadier General Peter O’Halloran was appointed Assistant Chief of Staff of Óglaigh na hÉireann upon promotion to the rank on the 18th of January 2016. 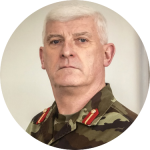 Brigadier General O’Halloran was commissioned into the Communications and Information Services Corps in 1979 and has 40 years’ service with a wide range of appointments at the tactical, operational and strategic levels of the Defence Forces. Prior to his new appointment, Brigadier General O’Halloran was the Director of Logistics of the Irish Defence Forces where he had responsibility for materiel and support logistics in the Army, Air Corps and Naval Service. He also served as Director of the Communications and Information Services Corps, held Senior Officer Appointments in Education and Intelligence and has extensive command experience at all ranks. Brigadier General O’Halloran has completed 10 Tours of Duty on overseas operations. This includes 6 tours with the United Nations, 3 tours with the European Union and 1 tour with NATO. Notable tours were as Deputy of the Joint Implementation Commission with NATO in Kosovo in 2010 where he project managed the handover of the policing function of the Macedonian Border from NATO to the Institutions of Kosovo, Military Assistant to the Deputy Commander of the Irish led EUFOR CHAD mission in 2007 and Chief of Staff of the Irish led European Union Training Mission to Somalia in 2011-2012. His professional military and civilian education is extensive. He is a graduate of the Irish Military College (2001), the United Kingdom Defence Academy (2003) where he completed the Advanced Command and Staff Course, the National University of Ireland and the Kings College London (2003) where he holds an MA in Defence Studies. He is also a graduate of the European Security and Defence College, the Folke Bernadotte Academy in Sweden, the Public Affairs Institute Ireland, Case Western University USA, Harvard Law School (Negotiation) and the Common Purpose Meridian Programme. Brigadier General O’Halloran is a native of Ennis, Co. Clare and attended Rice College Primary and Secondary School. He has for many years been residing in Athlone, Co. Westmeath. He is married to Linda and they have 4 children, Emma, Louise, Lisa and Tom. He enjoys soccer, golf, fitness and reading. Professor Hannah McGee is Dean of the Faculty of Medicine and Health Sciences (RCSI). As Chief Academic Officer of RCSI, her remit includes educational standards in Dublin and in RCSI’s overseas campuses in Bahrain, Dubai and Malaysia (Penang and Kuala Lumpur), with a particular focus on ensuring delivery of an international medical education curriculum across locations and cultures. Her background is as a Health Psychologist, with a research career in quality of life assessment and epidemiological and psychosocial aspects of ageing, cardiovascular disease and sexual health. She received a DSc for her portfolio of published research from the National University of Ireland in 2015. Among leadership roles, she has been president of the Psychological Society of Ireland and European Health Psychology Society. Regarding cardiovascular disease, she has been Chair of the European Association for Cardiovascular Prevention and Rehabilitation Committee and chaired the Irish Department of Health’s Expert Group developing the National Policy on Cardiovascular Health (2010-2019). 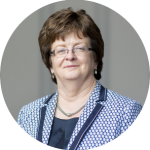 She is a former board member of the Health Research Board, the Economic and Social Research Institute and former chair of the Council of Deans of Medical Schools in Ireland. She is currently on the council of the National Children’s Research Centre. 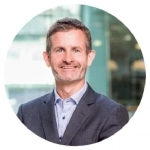 Liam O’Brien joined Vodafone Ireland, the country’s leading total communications provider, in September 2009, Liam brought with him 14 years’ experience from the global telecommunications market, across diverse functions such as strategy & business planning, sales and technology operations. Liam also has extensive experience of working overseas, having spent several years working abroad, including Australia, Sweden, China & India. During his time with Vodafone’s Enterprise Business Unit, Liam led on Vodafone Ireland’s entry into the total communications market, and drove subsequent investments into new markets, such as the development of Vodafone’s capability in Cloud & Hosting services. In April 2017 Liam was appointed Director of Strategy & External Affairs. As Director of Strategy & External Affairs, Liam has responsibility for Vodafone’s external relationships with key stakeholders such as the media, regulators and Government, as well as responsibility for key corporate functions such as Corporate Strategy, Wholesale, Vodafone Foundation & Legal Affairs. A native of Drogheda, Liam holds a Bachelor of Electronic Engineering Degree (1993) and a Masters of Business Administration (2003) from University College Dublin. In his spare time, Liam is a keen long distance runner and triathlete. 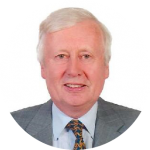 Dr Niall Holohan retired in 2014 as Ambassador to Saudi Arabia after a career of forty years in the Irish diplomatic service. He had previously served in Japan, Iran, New York and Palestine as well as in Northern Ireland. The protection of human rights and support for humanitarian relief efforts have always been priority issues for him throughout his career. Since 2017 he has been Chairman of the Arab Irish Chamber of Commerce which promotes commercial and other relations between Ireland and the Arab world. Julie is a member of the Board and Investment Committee of Enterprise Ireland. 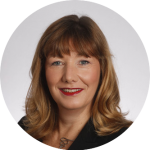 Julie has served on the Investment Committee of the Irish Strategic Investment Fund, part of the National Treasury Management Agency, since 2015, having been appointed by the then Minister for Finance, Michael Noonan. She is a Board member of both Social Entrepreneurs Ireland and The Young Scientist & Technology Exhibition Limited and a member of the National Competitiveness Council. 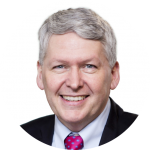 Derry Gray, a graduate Engineer from TCD, and Head of management consulting at BDO, and its former Managing Partner, has many years’ experience working with private and public sector organisations. Derry completed 7 years on the board of the Dublin Chamber of Commerce and was its President in 2016. Passionate about improving Dublin as a European capital city, Derry instigated the Chambers’ Dublin 2050 plan and remains invested in the Dublin project. The Dublin Chamber of Commerce speaks on behalf of Business in the Greater Dublin Region promoting a competitive and internationalised business environment and providing extensive networks for Business Development. The Chamber is a leader in the development of a strong vision for a successful and sustainable Dublin Region. 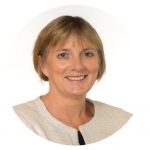 Previous to joining the Dublin Chamber, Mary Rose held the position of Director of Corporate, Strategic and International Affairs for Ibec since 2013 having moved from the position of Director of Pharmacy at Boots Ireland which she held for 8 years.